DNS Accountants’ is one of the leading accounting and taxation firm in the UK market. Recently, the firm won the Acquisition International (AI) 2016 Most Innovative Accountancy Firm Award. DNS Accountants maintains nation-wide presence with franchisees and operations across all the major cities in the UK. 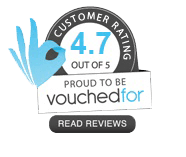 You can book an appointment with our expert chartered & tax accountants near you. 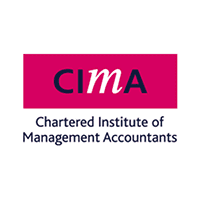 We are accredited accountants from top bodies including CIMA, IPSE and more. We have also been nominated for Best Contractor Accountant in the small/medium business category. 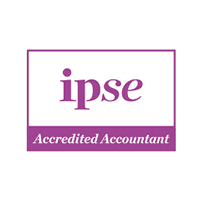 We are registered as associate member of FCSA and became an IPSE accredited accountant’s in 2014. In March 2012, we acquired ‘Efficient Books Accountancy’, a Romanian Practice, and today it’s the largest accounting practice serving the Romanian community. In 2010, we launched our own cloud-based accounting software, Nomisma Solution, for contractors and small businesses. We help our clients with all aspects of business, taxation and planning. Our goal is to free clients from the burden of account management and optimise the tax position, so that self-employed, freelancers, contractors and business owners can concentrate on their core business activities. Let’s take a look at several areas around the UK where local DNS Accountants can be easily found near you. With a cost-effective approach in mind, we have dealt with more than 1200 clients in London. We offer various kinds of accountancy and other business related services, and aim to ensure every possibility of saving money for our clients. 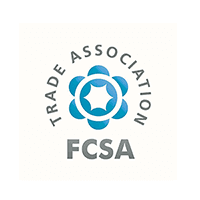 We are one of the leading accounting firm in the London Accountants Directory and have a team of qualified professionals and senior members holding professional degrees from well-accredited universities like ACCA and CIMA. Automotive, chemicals, technology, and tourism are among the few chief industries in Manchester and the city is also very popular for its universities and football. 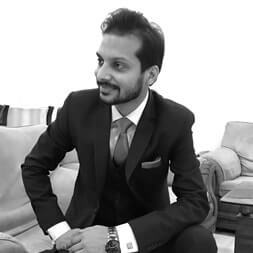 Since, each business falls under a different category and has diverse laws and regulations that govern it; we work towards servicing our clients well and to do so we shape our strategies depending on the needs of the clients. We strongly believe that small business and contractors should focus on growing the business and not worry about their taxation and accounting requirements. Our accountancy team in Manchester aims to build long term relationships with our clients and save their hard earned money in every probable way. Our team of CAs, ACAs, and taxation professional deliver accountancy, taxation and consulting services to our clients in and around Leeds. They work across more than 15 industry sectors to provide assistance with annual and quarter tax calculations, validate tax balance accounts, implement new accounting standards under IFRS or local GAAP, and improve business operating plan. Our accountancy team in Leeds focuses on providing dedicated and professional services to contractors and businesses operating in Bradford, Batley, Dewsbury, Halifax, Morley, Pudsey, Shipley, and Wakefield. DNS Accountants offer a range of professional accounting services in Kent to both, contractors and businesses, in and around Kent, including Rochester, Maidstone, and Tunbridge wells. Our clients include personal service firms, financial institutes, construction groups, retail outlets, restaurants and bars, etc. ; they count on us to help them transform ambiguity into opportunity. We also offer services to all businesses operating in Ashford, Chatham, Dartford, East Hill-Meridian, Lakeland North, Gillingham, and Maidstone. We are working with clients to offer affordable accounting services in Harrow and surrounding areas. These services range from basic accounting and tax computation to auto enrolment, self assessment, mortgages and pensions etc. We also help clients with issues related in inheritance tax and dormant company status. Our clients in Harrow include educational institutions, healthcare institutions, construction companies, contractors and freelancers etc. For the common man, taxation is a complex concept and when it comes to filing tax returns, it becomes a complicated task altogether. Preparing and filing tax returns at the end of a fiscal year or advance tax payments need knowledgeable guidance. For accurate filing, the skilled approach of our tax accountants in Cardiff enables in developing strategies to reduce the financial burden on the assets of a company. Our other locations include Aberdeen, Bath, Birmingham, Bournemouth, Brighton, Bromley, Cambridge, Canary Wharf, Chelmsford, Colchester, Cornwall, Edgware, Glasgow, Greenford, Halifax, Hull, Liverpool, Luton, Maidstone, Milton Keynes, Northampton, Norwich, Oxford, Portsmouth, Redditch, Slough, Stanmore, Stoke on Trent, Swindon, Watford, Wimbledon, Woking, and York. We offer consistent services are essential to businesses/corporations and contractors. Because of our reliable and error-free services most of the organisations in the UK rely on DNS Accountants. Click here to find the best Accountant neart you.